Presoak Plus is our original automatic presoak. This high-pH formula hits dirt and grime with a punch! 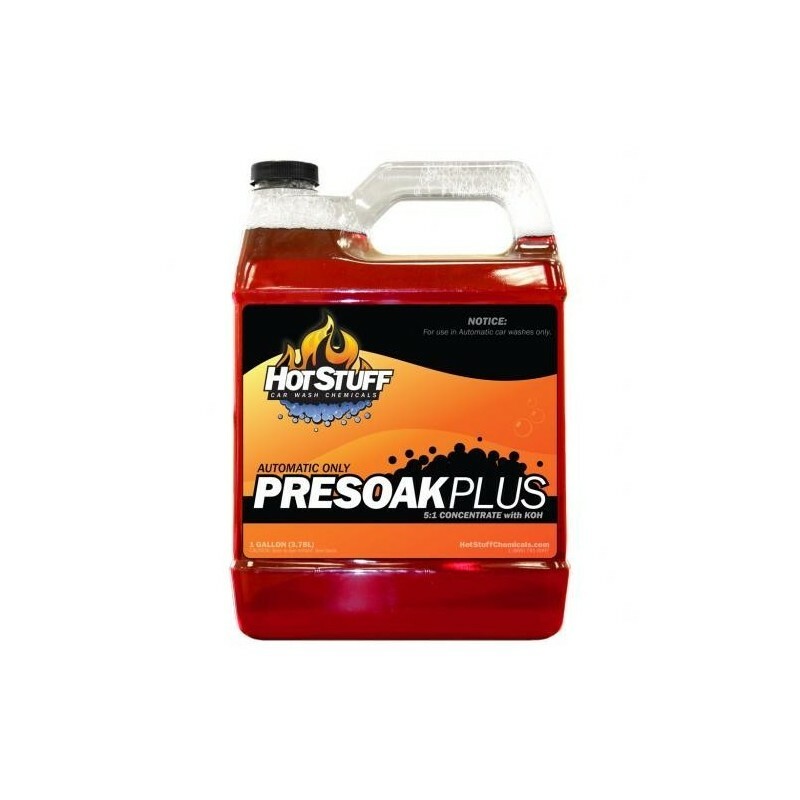 Combined with multiple conditioners to help attack different types of grime and even address hard water issues, Presoak Plus makes any car a clean car. It is formulated to work in virtually every wash situation. Great foam, great scent, great clean! Perfect for a wash situation where extremely high alkalinity is not necessary. 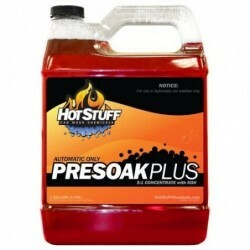 But if you need the strongest high-pH presoak possible, try our Presoak Max. For use in automatic washes only. Not available to buy as a single gallon.